A fortune cookie is a crisp, wafer-like cookie that is baked around a message of infinite wisdom and prophecy. The cookies are usually served after dinner at authentic Chinese restaurants. Although the Chinese have known the secrets of the fortune cookie for millenia, the rest of the world only gained knowledge of the untapped wisdom of the fortune cookie in the mid 15th century, when the prophet Nostradamus utilized fortune cookies and opium to see the future. 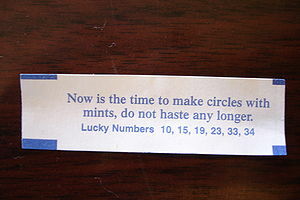 The fortune cookie was developed in the early 5th century B.C. by the Chinese philosopher Confucius. Confucius sought to make a delicious treat that not only provided physical nourishment, but mental and spiritual nourishment as well. It is said that Confucius spent many days meditating in the mountains of Tibet while training in Tai Chi with Buddhist monks so that he could condense his wisdom. 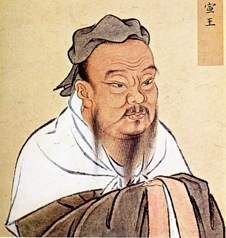 Legend has it that Confucius encountered a nomad while focusing his Chi energies at an ancient temple where he encountered a nomadic clan of goatherders. These people, the Batu-Kashmir nomads, practiced a religion which worshiped the Earth goddess Aleri. Noticing the way the Confucius was so in tune to nature and its mysterious ways, they sought his council and offered him a magical confection, the modern fortune cookie. They taught them how to make the crispy-crunchy tarts which he wrote down on scrolls to be kept by the Tibetan people. These scrolls also contained the first fortune cookie prophecies. Scholars maintain that while most of these scrolls were lost in the Great Fire of Lhasa in 422 B.C, some have survived. Chinese General Sun Tzu began to dabble in fortune cookies when he led the Wu kingdom to victory of the combined Zu and Chu kingdoms with the aid of one of Confucius' prophecies. Ancient scrolls found in the Mon-shiko Temple outside of a Hunan tell of how the general, seeking guidance before battle, confided in a Confucian fortune cookie for advice. The cookie told Sun Tzu that he would win the battle, and that the gods favored his faction. 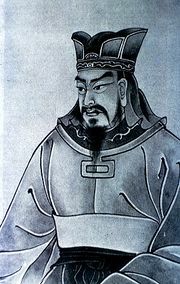 Of course, Tzu defeated his rivals and led the Wu to dominance in China. After retiring, Sun Tzu decided to begin writing his own little tidbits of wisdom, which, eventually, he compiled together and published in his famous book "The Art of War." Historians such as Sid Meier have noted that with the writing of "The Art of War," a barracks was built in every city on continental China. 15th century prophet Nostradamus was the first European to make the fortune cookie a household delicacy. After visiting China while high on opium, Nostradamus began to dictate his intricately detailed prophecies to a scribe. Some of his prophecies offered highly detailed descriptions of World War II, 9/11, and the rise of Wikipedia. Fortunately, these events were avoided due to our knowledge that they would occur beforehand. Although Nostradamus never wrote any fortune cookies, he did manage to make them popular with the West by selling his book Les Prophecies, which foretold the aforementioned events. Many say Mao applied this fortune throughout his regime. It is certain that Mao decided to initiate the Great Leap Forward after the instruction of a long-since lost fortune, as is chronicled in Mao's own collection of fortunes, the Little Red Book. This initiative was widely regarded as one of the better policy moves of the PRC, resulting in high crop yields and increased production by the Chinese state as a whole. Mao also sought the guidance of fortune cookies when he initiated the Cultural Revolution, another successful campaign by the Chinese government. In an ironic twist of fate, Mao died from choking on a fortune cookie. The wisdom of fortune cookies has been long since regarded as the greatest in all the land. Special philosophers and thinkers, known as Fortunecookie-ites, have dedicated their lives to interpreting and writing fortunes and prophecies to be inserted into the cookies. If you click on the image below, you will receive fortunes greater in number than there are pine trees in the land of Han. Fortune cookies also often contain several lucky numbers, which will always win you the lottery. The opposite side usually has a word or phrase (eg., elephant or elevator operator) that you will probably want to know in Chinese, with its phonetic English pronunciation and equivalent under it. Funny, considering that Confucius was Chinese, after all and would have no reason to provide English translations for Chinese words, especially when he had no knowledge of English. This article was nominated to become a featured article; however, due to several votes being devoured by a Wererat, it didn't make the cut (11.5/18). Don't let this happen again! For just pennies a day, you can prevent another travesty of this nature, or vote for other articles at Uncyclopedia:VFH. This page was last edited on 6 July 2016, at 23:19.